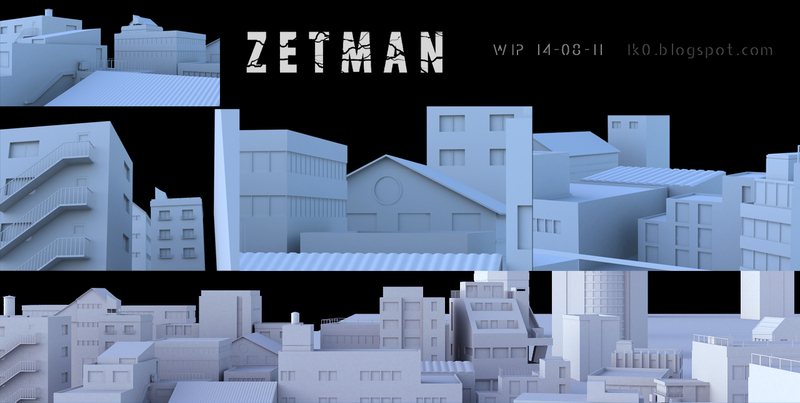 I’m actually on an architectural job, perfect timing as I started to work on Zetman environment. I learn a lot of GI and final gather tips I’m happy to use on the Zet project. 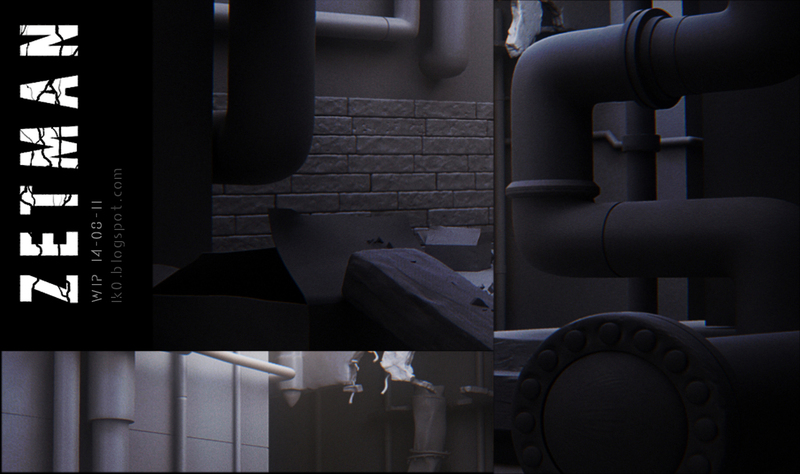 2 sets are modelled, the 3rd take more time to be achieved as it’s a big city shot, that’s why I try to model original houses and buildings from the manga and I’ll use the wonderful Ghost town script to generate the rest of the city in seconds, including custom buildings, windows etc.